A general purpose technology (GPT) is a big deal. Examples in the past include the printing press, the steam engine, and more recently in 1971 the microprocessor. It takes a long time for a GPT to play out from an investment standpoint. The timeframes are getting shorter but they are still measured in decades rather than quarters. For example we are over 40 years into the microprocessor revolution and still going strong. The internet, smart phones and networks are just applications. Nanotechnology is emerging as a GPT that broadens the application of technology to materials, biology, analog electronics and will ultimately work into far more areas than we can imagine now. Again the microprocessor is a great analogy. What we have today in digital technology was the stuff of pure science fiction only 20-30 years ago. Nano is just getting started. This is important investing theme for the SVTF. As exotic as some of the technology is the key remains product engineering, business models, management and execution. 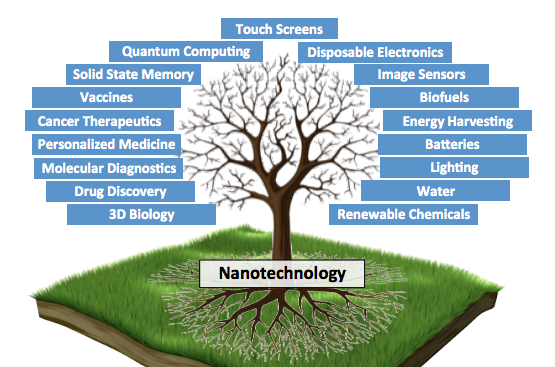 Fortunately the market potential for nanotechnology is gigantic given the broad applications in medicine, materials, and energy. Each of those markets can be measured in trillions of dollars. Not bad.